Sometimes you just have to make do with what you’ve got. 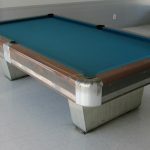 We were called out to recover this old pool table located in the recreation room of “The Plantation” mobile home park in Anaheim, CA. 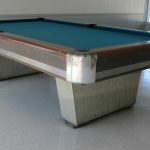 This nine foot commercial style pool table looked to be from the early 1950’s. 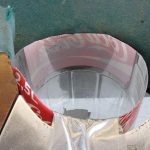 It was in really poor condition when we arrived. The two side pockets had been replaced with 2.5 liter Coke bottles that were cut in half and taped in place. It seemed to do the trick though. We spent about four hours on refelting and installing new drop pockets on this antique pool table. 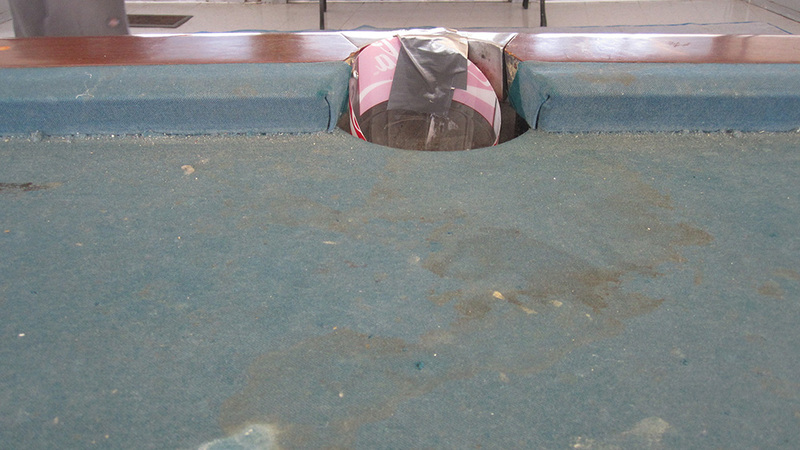 Amazingly this pool table still had the original “Master Fast” cushion rubber on the rails. What’s amazing is that the balls still bounced rather well off of these 50+ year old cushions. Truly great quality American cushion rubber. I hope “The Plantation” residents try to take care of their new pool table, it looks great!